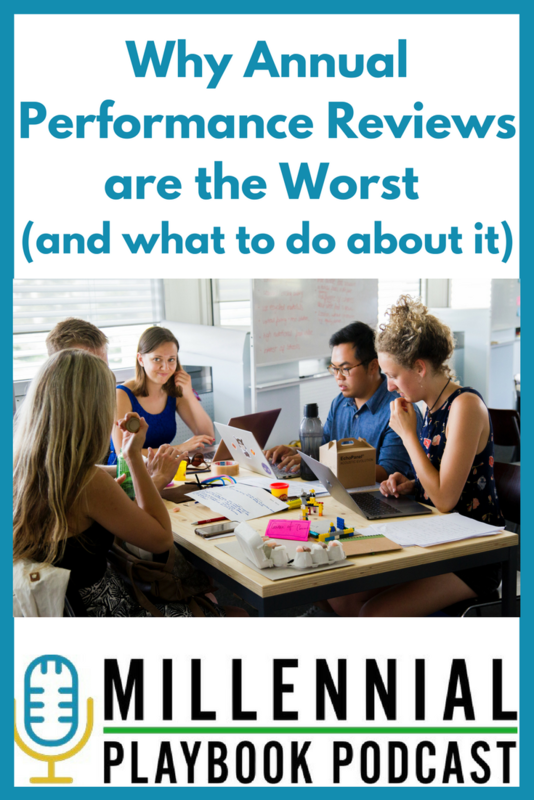 On today’s podcast, we talked about annual performance reviews, why they can be the WORST and suggested alternative ways to provide employees with constructive feedback. You can download this episode from Itunes or Stitcher or listen below. Check out our breakdown of the conversation. Reflecting on an entire year, both positive and negative is really hard and not constructive. What are your biggest accomplishments this quarter? Tips for employees: Be honest and open about what you faced and how you could improve upon it. Tips for managers: Ask questions to uncover what your employee found challenging and then give constructive feedback. Communicate both positive and negative feedback and assess fairly. Whenever possible, address immediately instead of waiting a full 4 months to resolve an issue. What are professional development opportunities that you want to take advantage of? Tips for employees: Do your research and find opportunities at different price points. Anything from job shadowing, free software to upcoming conferences or certifications. What support do you need from your supervisor at this time? Tips for managers: Be open to your employees suggestions. This is also the time to hear what is going on a daily basis with your team. Use this as a chance to fully understand their workload, their responsibilities and potential upcoming road blocks.